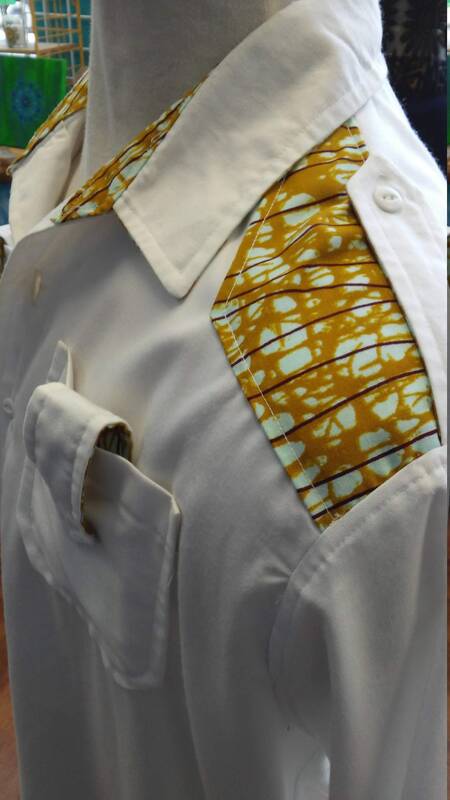 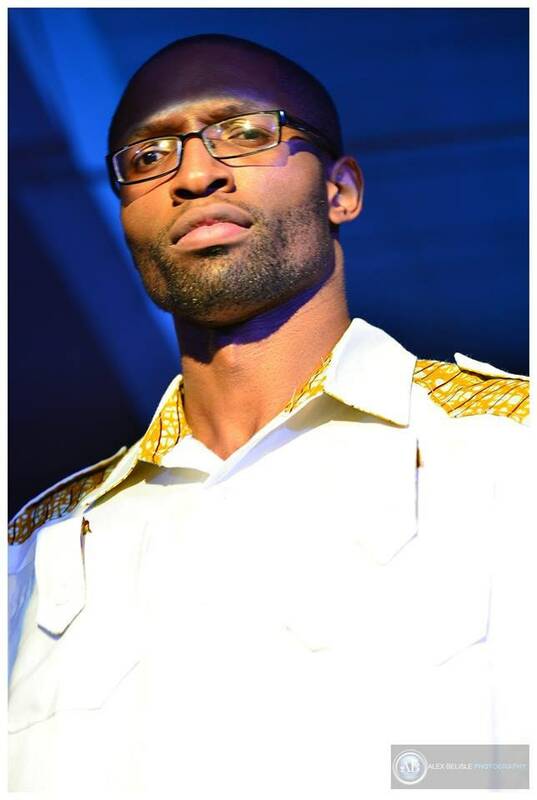 Men's button down shirt, with collar, pockets, and epaulets, with African wax block cotton shoulder detail. 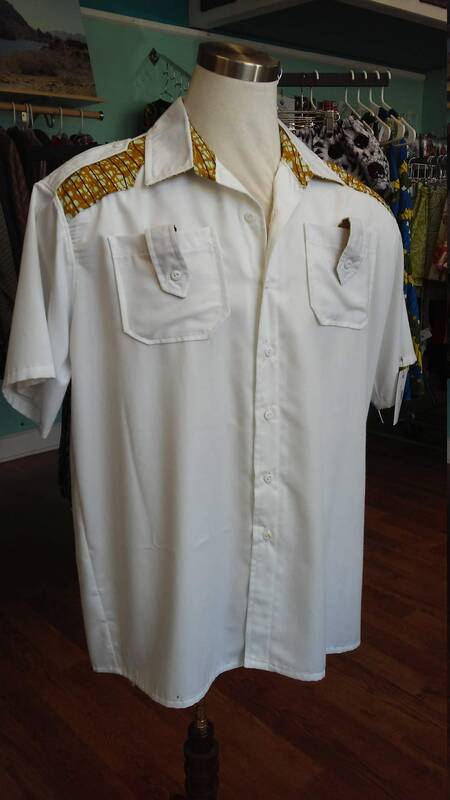 White rayon fabric, machine wash. 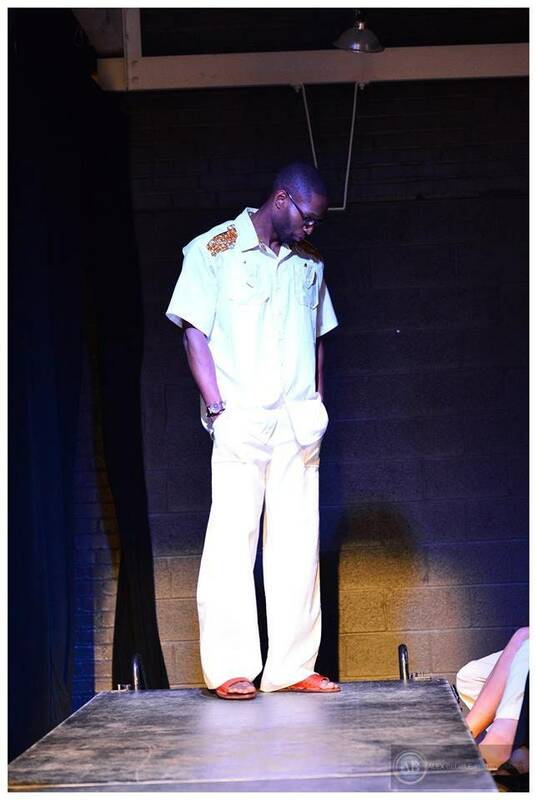 Pants are white linen, with front pockets, zipper fly. 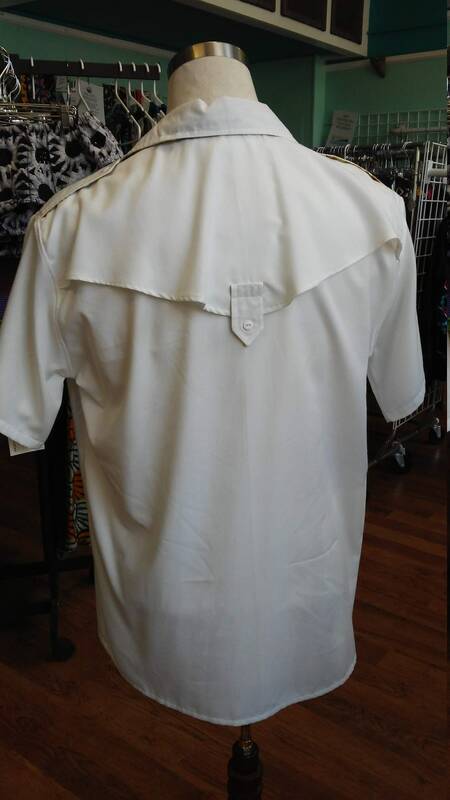 Made to order, send your measurements for a customized fit.